Incredible view of the city at sunset from the Rosewood Hotel rooftop bar. First night "insider's tour" by Meagan. Clockwise from top left, Mike Paolini, your Humble Correspondent, Meagan Burns, Patti Richards and Debbie Paolini. 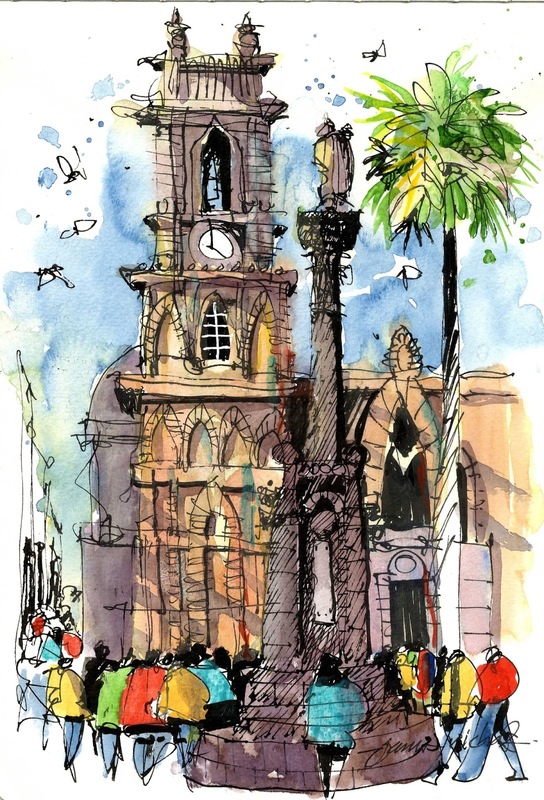 First sketch, first afternoon...in the forecourt of the cathedral. Local musicians killin it with acoustic Cuban music in Los Milagros on the plaza. 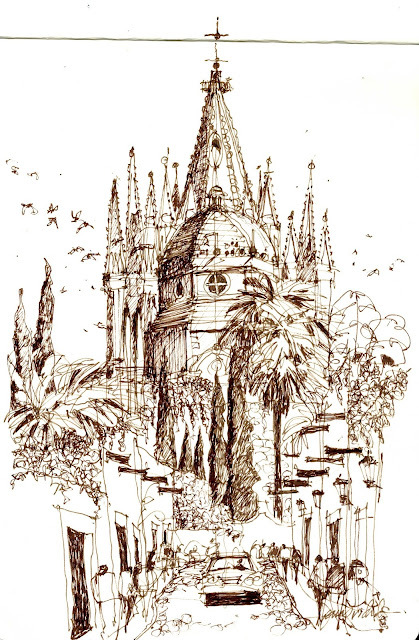 My sketch of the killer view of the cathedral, just up the street from our hotel. Some of the workshop participants gathering as we begin the on-location segment. A spirited and talented workshop group. Organizer Meagan Burns (first row in pink) seems pleased. I'm glad to hear you are making plans to return to San Miguel. I was in Chiapas and was really disappointed that I couldn't attend this one. I enjoyed your video course on Craftsy and look forward to an in-person workshop the next time you visit San Miguel. Thanks Al, I look forward to sketching with you! 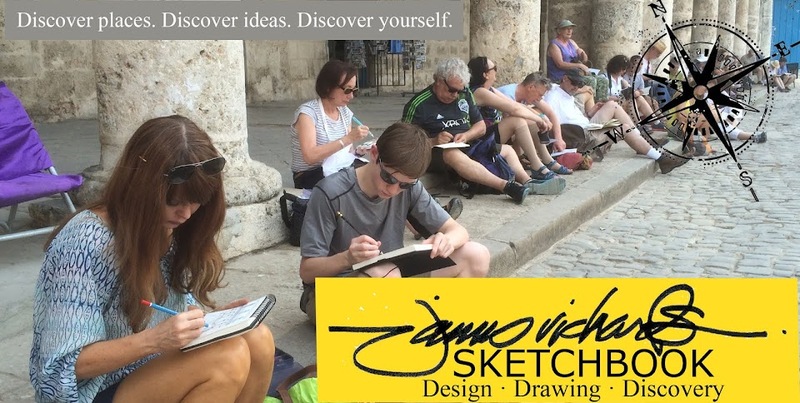 Jim's Sketching Workshop Comes to Fort Worth!